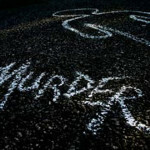 Readers have surely noticed that each time the police high command claim credit for a temporary decrease in murders, the murderers mock them with a quick spike in killings. We refuse to accept that there are degrading social conditions which fuel gun and domestic violence. Such stubbornness is more than hurtful. It is killing us at a rate of more than one per day. We also remain indifferent that corruption, unholy political alliances and the absence of campaign finance legislation encourage drug and human trafficking. 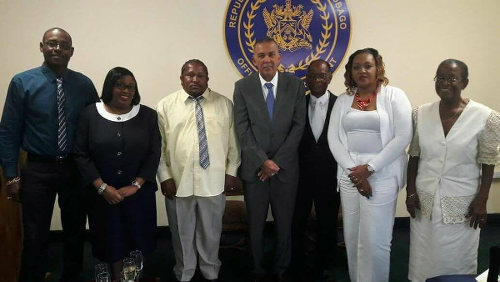 Photo: Port of Spain South MP Marlene McDonald (second from left) poses with alleged gangster Cedric Burke (third from left) and President Anthony Carmona (fourth from left) after her swearing in ceremony as Minister of Public Utilities on 30 June 2017. Nevertheless, the party start. Notice though that soca has shoved aside calypso into a merely residual place in Carnival. The selection of tunes for Panorama 2019 reconfirms this. 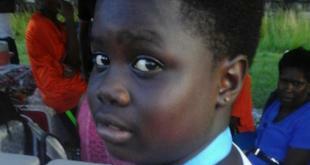 Nadia, Nailah, Nappy, Swappi and Superblue are the leading mainstream choices. Pan has retained a part in Carnival only because it is unique and rooted in communities and participation in it for the ordinary person is not expensive. 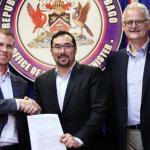 However, pan’s supposedly premier event, Panorama, has become a means of scamming the state, featuring politically driven giveaways of taxpayers’ money to mediocre as well as some plainly pick-up sides. Subvention and contract giveaways with little or no accountability are a norm wherever the state is involved in commerce and industry as well as in culture and entertainment. The writing on the wall, foretelling future collapse of such a system, was ignored. Those who pointed to that likely outcome were frequently attacked. Despite pious urgings to done the freeness, Panorama 2019 will proceed in a cash reduced but similar mode. Division of participating bands into medium and large categories will also remain—an earlier concession having been made to have small and single pan bands compete separately. It seems inconceivable that this stubbornness should persist and my pleas that prime bands play in prime time will be ignored for another year. Audiences will continue to stay away as a result. 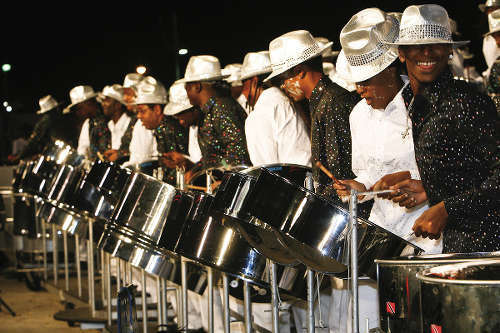 I have previously written: “Few commentators have advocated more intensely than I have, that the steel band movement be treasured, that its role in social development cannot be overestimated, that it is a scientific and musical patrimony and that it must not be blitzed out of Carnival by the capitalist takeover of the Carnival routes by means of monster trucks. This column is no longer a voice in the wilderness. I now have powerful company on the public record. 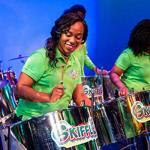 In the Newsday of 15 January this year, Mayor of San Fernando, Junia Regrello, leader of Skiffle, reportedly advised Pan Trinbago to restructure what has been done for decades in order to move forward. Regrello’s advice was that Panorama payments must be restructured to work as an incentive to make players work hard to strive for top places in the competitions and that the medium band competition be removed from the finals letting large bands stand on their own so that the competition does not drag on. 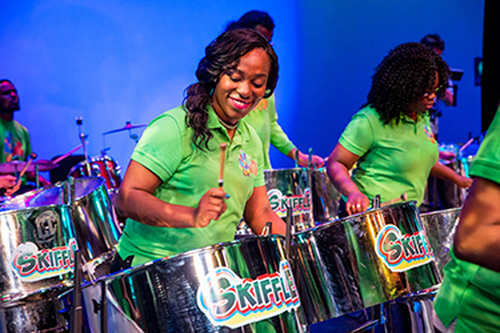 Michael Marcano, President of Renegades, in an interview with Dalton Narine on the renowned site When Steel Talks, spoke about how the easy Panorama facilitation of single pan is retarding the challenge for excellence and depth in pan music for youngsters. He proposes 12 finalists being selected from a semi final of 40 to 45 bands. 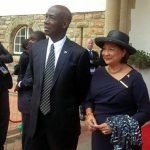 Many Pan Trinbago officials well know that the separation of medium bands can and should be done without waiting for another year. The re-structure proposed by Marcano can be and must be done going forward from next year. Sadly, continuing stubbornness in the face of reality has hurt real people and irretrievably damaged formerly viable pursuits and unique cultural activities that are worthy of support, if properly managed.